To kick off 2018, I’m celebrating some of our favourite athletes from the past year! These skaters worked their butts off, were super consistent, and really stepped up their game this past year. All of the RDA Coaches and I are super proud of these #rdaallstars! 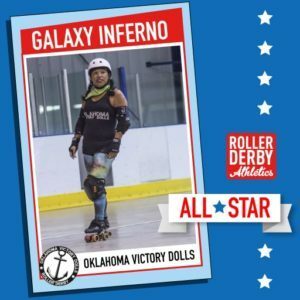 Introducing: Galaxy Inferno, of the Oklahoma Victory Dolls!! 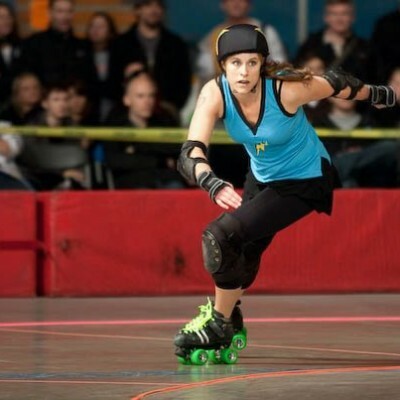 Galaxy was a member of Oklahoma City Roller Derby for 6 years. Right before the 2017 season, OKCRD merged with the Oklahoma Victory Dolls and Galaxy’s been in the mix ever since. Her RDA Coach, Badbrand knows her as a boundless source of energy, drive and determination. BadBrand and Booty Quake were lucky enough to play with & against Galaxy in our Cardio vs. Weights RDA challenge bout at RollerCon this year! What do you get up to when you’re not playing derby? I work for Oklahoma State Department of Health, and I play piano & soccer. What are you working towards in derby right now? All Star Team success in 2018! Any big successes or milestones for you in derby recently? Prior to this season, it had been a long while since I’d received an MVP award. This season, I received 4 MVP Awards! I also received the Blue Collar award that the Coaches give to the most hardworking skater at our League End of Season Awards Party. How has off-skate training contributed to your derby experience? Roller Derby Athletics specifically has helped me get on & stay on the All-Star Team & help the B-Team win most of our games for the 2017 season. As for off skates training in general, I learned basically from the get go that off skates training is important to be able to make laps. I started out doing 12 laps. The new recruit coach recommended that I take up a cardio program to increase my endurance. I took up the bike and walking stairs, and was able to achieve my laps. Then, at the end of my second year of roller derby, I took up running and weightlifting. I have been running and doing weights ever since then, and Booty Quake worked those routines into my RDA programs. 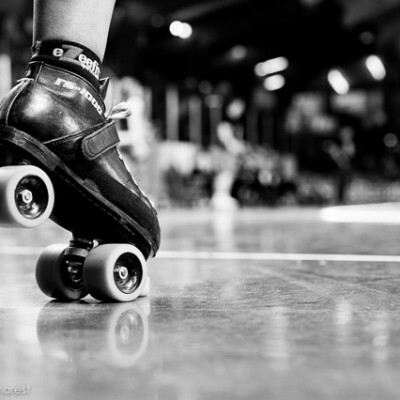 What is your favourite thing about training with Roller Derby Athletics? I love that I can actually tell that I’m improving on the track. That is absolutely the best thing about it. The second best is the variety of the workouts. It’s different nearly every time. I never get bored! Do you have a favourite RDA workout? It’s got to be the HIIT: Agility Jam workout. Anything else you want to tell the world about your derby or training experience this year? I’ve enjoyed RDA! I like that there are measurable tests to show improvement. For example, my jumping height and agility have absolutely improved since I started with RDA. I can see and feel that improvement on the track. The biggest tell is that I’ve received those MVP Awards, which as I mentioned had been a long time since I’d received one! Congratulations to Galaxy on being a 2017 RDA All-Star! We look forward to all the great things you and the Oklahoma Victory Dolls are going to achieve this coming season!